A website that encourages its users to expose themselves to viewpoints that oppose their own. Thus far, the Internet has had the unfortunate effect of bolstering our biases, which, in turn, has resulted in immense political polarization. This is perhaps counterintuitive because the Internet enables its users to consume an unprecedented variety of information from a plethora of diverse sources. However, the Internet's most popular websites are typically designed to provide us with material that, rather than challenging us, merely confirms our entrenched opinions. Additionally, due to confirmation bias, a psychological tendency that urges us to systematically ignore that which contradicts our beliefs and seek that which affirms our beliefs, most of us rarely visit websites that refuse to pander to our biases. Furthermore, when information that conflicts with our worldview manages to invade our minds, many of us succumb to the backfire effect, a phenomenon that is exhibited when we cling more strongly to our established convictions in the face of contradictory material. Thus, both confirmation bias and the backfire effect aid in our avoidance of cognitive dissonance, the discomfort we experience when we encounter information that conflicts with our views. Alas, the algorithms of our websites and our psychological proclivities have stunted the human search for truth. If we wish to remedy this, we must be mindful of these weaknesses and consciously seek opposing viewpoints, with the intention of overcoming confirmation bias, resisting the backfire effect, and constructively coping with cognitive dissonance. 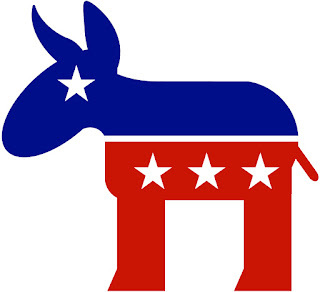 To be directed to a view that opposes your own and receive your dose of dissonance: If you lean to the left, please click the donkey icon. 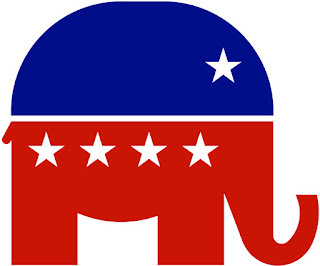 If you lean to the right, please click the elephant icon. If you agree with the commentary you receive (this is certainly not a rare event, nor should it be! ), please click the other icon. If you do not lean to either side, please click both icons––one, or both, should provide your dose. The piece of media you receive represents only one of a diverse array of views held by those on the other side of the political spectrum. Indeed, the beliefs of other political groups are much less homogeneous than we may tend to think. Click here for additional doses! If you have video/ article suggestions, or you would like to propose changes to the website, feel free to email doseofdissonance@yahoo.com! Doseofdissonance.com is a participant in the Amazon Services LLC Associates Program, an affiliate advertising program designed to provide a means for sites to earn advertising fees by advertising and linking to amazon.com.